Revive Adserver v3.2.4 is available now. Fixed an issue with the Banner Advanced and Linked Zones screens triggering a permissions error upon submit. Fixed an issue with banner (de)activation not working and triggering a permissions error instead. Fixed an issue with tracker variables and append screens triggering a permissions error upon save. Fixed an issue with zone duplication not working and triggering a permissions error instead. Fixed an PHP7 compatibility potentially causing an infinite loop in the statistics screens. Fixed an issue with prioritization when using a timezone with a positive offset from UTC. Version 3.2.3 of Revive Adserver, released on March 2nd, contained a number of security fixes. Although it might not look like it on the outside, it was in fact a rather large set of changes to the code base, and a number of issues surfaced after version 3.2.3 was released, that were either new bugs or unintended side effects of the security fixes in v3.2.3. Users are advised to upgrade to the most recent version 3.2.4 of Revive Adserver. This also includes any user running any version of OpenX Source or older versions of the application. If you have postponed upgrading to version 3.2.3 in early March, because of the reports on the forums and on Github about unexpected issues related to the security fixes in that release, we would recommend upgrading to v3.2.4 now, since it contains all these earlier security fixes, and also fixes for the new bugs. Full release notes for v3.2.4 can be found on our Github page . 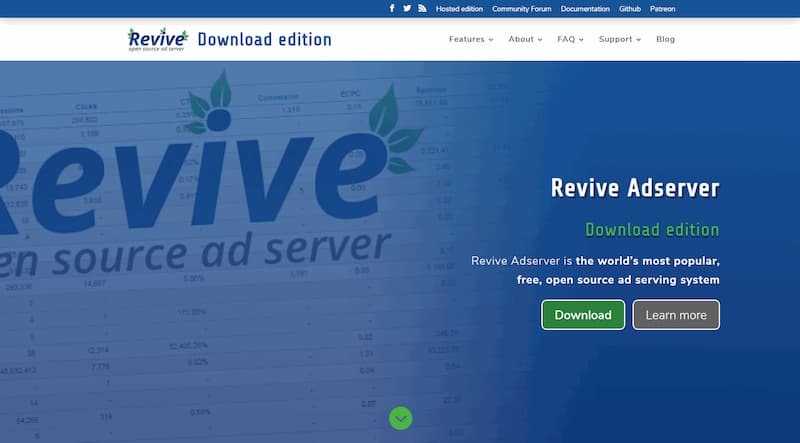 Revive Adserver v3.2.4 is available for download now. We would like to thank all members of the community for reporting their issues in such a detailed manner, and we thank everyone for their patience while we were completing this bug fix release.